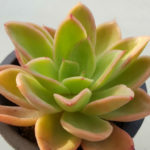 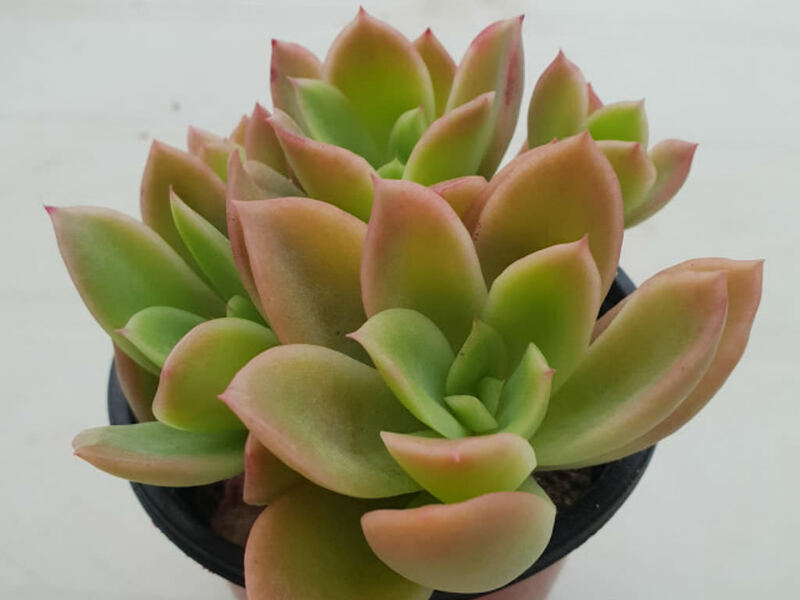 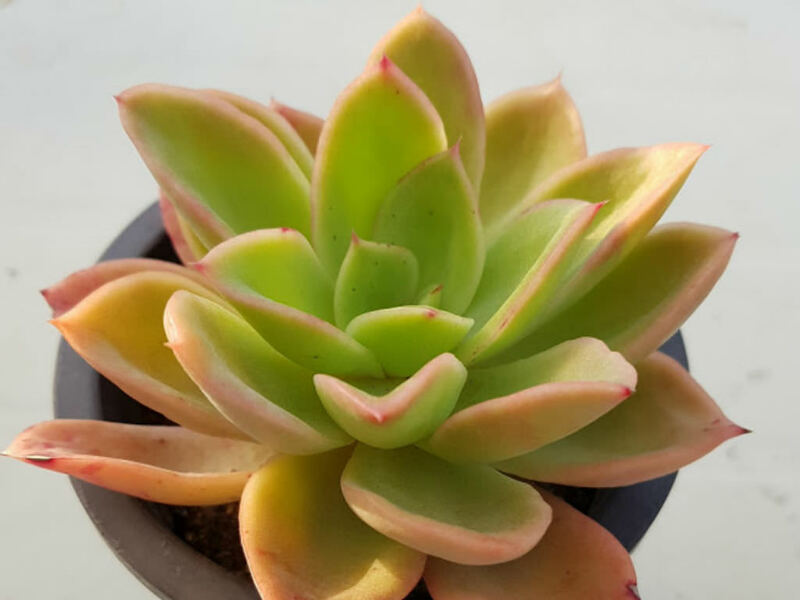 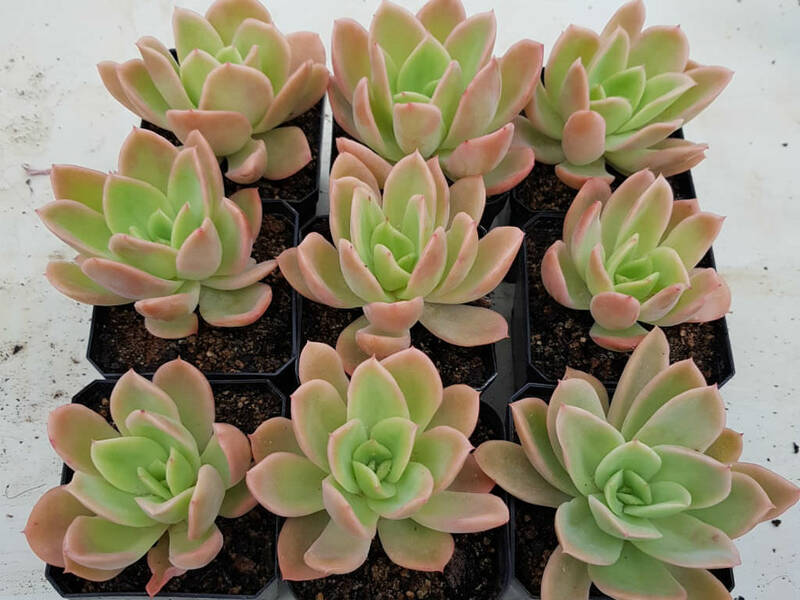 Echeveria ‘Golden Glow’ is a clump-forming succulent up to 1 foot (30 cm) tall, with up to 10 inches (25 cm) wide rosettes of broad, pale green to yellow-green, spoon-like leaves that can blush pink along the margin in summer when grown in sun. 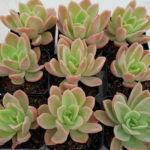 The plant looks solitary and is slow to have offsets but eventually can form a cluster up to 18 inches (45 cm) wide or more with slowly elongating decumbent stems. 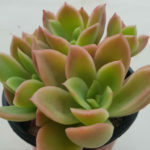 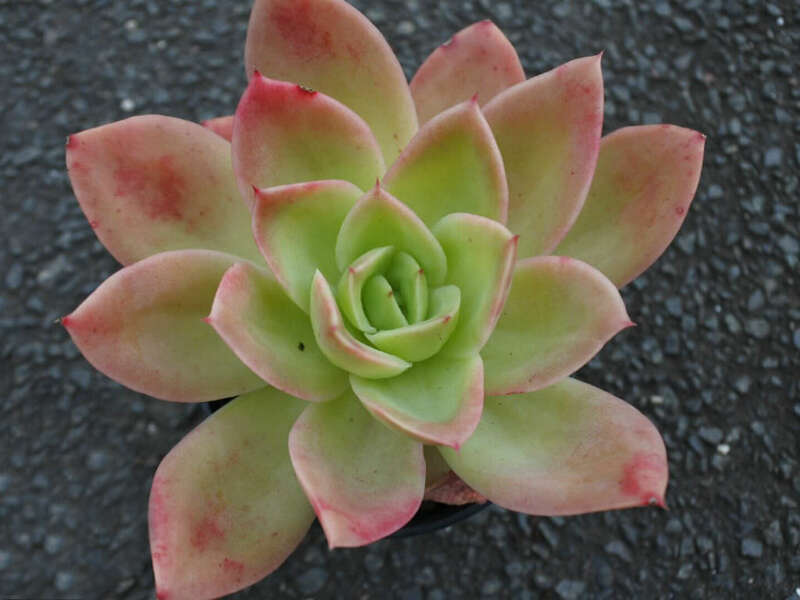 It is thought to be an Echeveria agavoides hybrid.